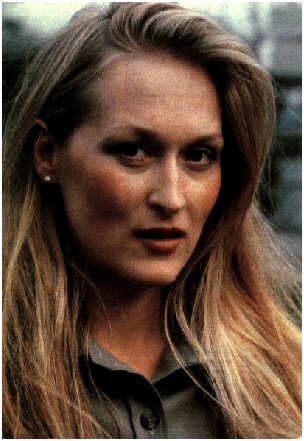 This was Meryl in the first movie I ever saw her in: Sophie’s Choice. The film is dated now, but she isn’t. She’s so beautiful in this portrayal of a woman haunted by the Nazis in World War II. Worth another viewing if you haven’t seen it in awhile. Around the same era but in color. 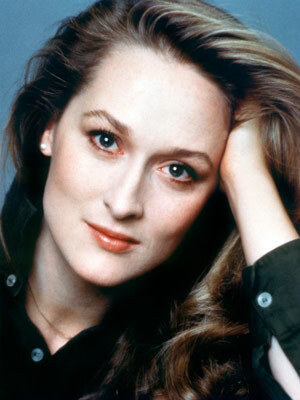 One of my favorite Meryl Streep movies is SILKWOOD. 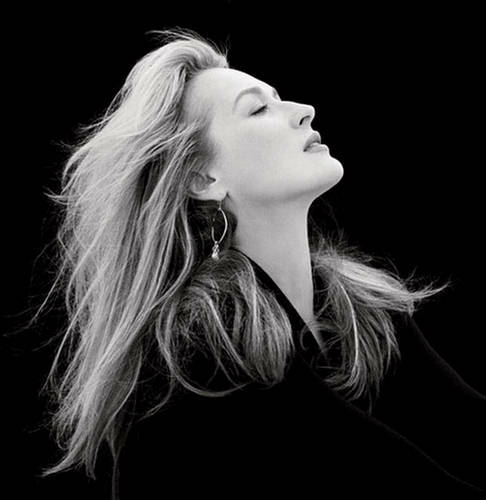 Meryl is so vulnerable in this role and absolutely riveting as a young, free-spirited woman who takes on a nuclear energy plant and pays the price. The b-story of her home life with Cher and Kurt Russell is equally compelling and easily their best work opposite arguably the best American actress ever. 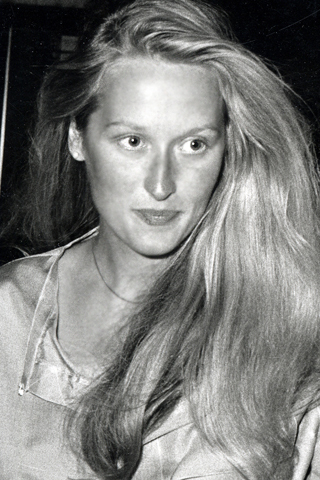 Just goes to show that Meryl on a movie will invariably up everyone else’s acting chops to a new level while they’re in her orbit. 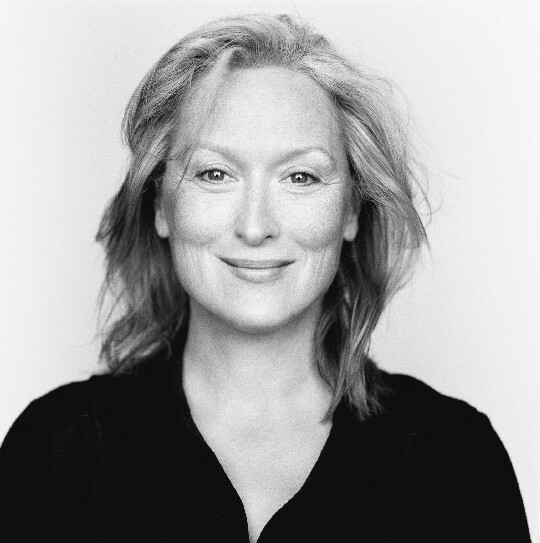 But I have to say I love Meryl in black & white. There’s something so timeless about her beauty that she lends herself to the glamor shot in such an open, unassuming and understated way that all you see is beauty and brains unlike any other actress of her time. 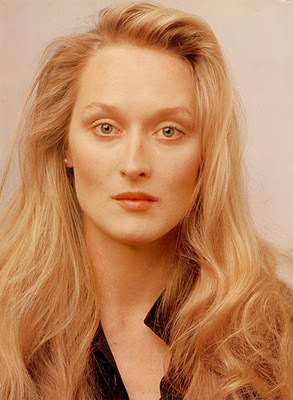 This is another one of my favorites of the multi-Oscar winning actress. 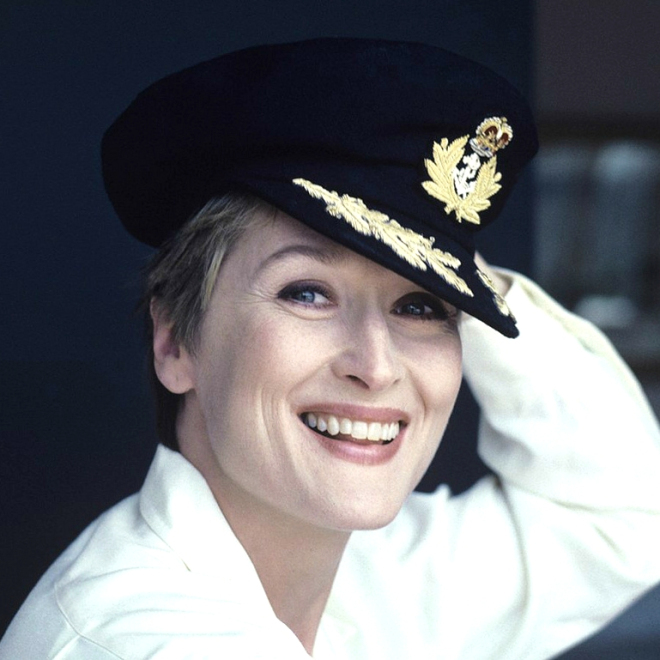 And no matter how old she gets and how insipid the movie roles become – I’m just happy to see Meryl up on the screen where she belongs – in front of the camera that loves her along with the audience. I agree with you – she gets better and better, more and more beautiful as she gets older so gracefully, and her joyous and loving personality shines through whenever she is interviewed.